The Wei LAB committed to a social innovation agenda to address community-based challenges by establishing partnerships with local, state, national, and global entities committed to eradicating educational and workforce inequities. We invite policymakers, practitioners, and concerned citizens to follow us on Facebook (Wei LAB) and to use this portal to find and identify available expertise on particular topics of interest, and to engage in dialogue to strengthen our efforts and inform our results seen across Wisconsin and the world. Wisconsin routinely ranks worst nationally with regards to social, economic, educational and health disparities. These disparities are especially apparent amongst Wisconsin’s African American children, families and communities. Longstanding efforts to address the social, political and economic complexities at the root of these disparities have been fragmented and piecemeal, unable to build and sustain longitudinal agendas that serve and support African American children, youth, adults and seniors. During an interview with the Capital Times in 2013, Reverend Dr. Alex Gee laid out a holistic agenda to better coordinate community-wide efforts. This new initiative, Justified Anger (JA), which includes an advisory board and five focus area working groups, seeks to strategically narrow racial disparities in the City of Madison in the areas of: (1) Education, (2) Incarceration, (3) Economic Development, (4) Family & Community Wellness, and (5) Leadership & Capacity Development. Key priorities and empirically-informed strategies have been developed in each focus area to ultimately empower African Americans in Madison, Dane County, and beyond. In so doing, JA promotes an agenda that supports safe communities, educational achievement, economic development, workforce advancement, and broader renewal. In late May, the first phase of JA culminated with the presentation of the group’s framework for change, “Our Madison Plan,” to more than 700 community members. This vision includes historical analysis, policy reviews, and a conceptual strategy that can mobilize Madison around a shared agenda that addresses the unmet needs of African Americans across Greater Madison. At present, JA is preparing to assist community-based partners in executing a long-term strategy that expands opportunities, identifies resources, and establishes and renews relationships between citizens, policymakers, and leaders across the state. JA will move Madison from “worst to first” by building social capital through innovative interactions and collaborative approaches to drive systemic change. In September 2014, on behalf of the city of Madison, we accepted President Barack Obama’s My Brother’s Keeper (MBK) Community Challenge. The initiative seeks to address persistent opportunity gaps faced by boys and young men of color to ensure that all young people can reach their full potential. 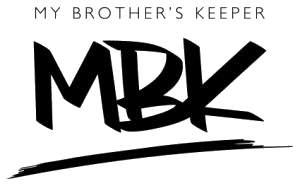 The MBK challenge directs cities to focus their efforts on two of the six goals. In January 2015, the City of Madison and community partners gave boys and young men of color the opportunity to select the areas of focus themselves. The City of Madison, with support from the United Way of Dane County, conducted surveys of boys and young men of color ages 11 to 25. In addition to prioritizing the six focus areas, youth were asked firsthand about their experiences and personal goals, as well as their needs and barriers to success. This effort will only be successful with the full and enthusiastic support of community partners. Therefore, these recommendations are offered by the Madison MBK working group to the community of Madison, Wisconsin, recognizing that this is a living document and will require regular evaluation, critique, and redevelopment by parents, educators, researchers, community organizers, faith leaders, scientists, students, artists, peace officers, doctors, elected officials, social workers, and others. The only fixed portion of this report is the commitment by the City of Madison to improve opportunities for boys and young men of color. The pathway to achieving our goals starts with developing solutions together. The [Policy Review and Recommendations for Action] are intended to spur conversation and help strengthen the community focus on initiatives that address persistent disparities; they are not set in stone. Now, with the support of the Madison Metropolitan School District, the Madison Police Department, the Madison Municipal Court, the Dane County Sherriff’s Office, the University of Wisconsin-Madison, and our community partners, we offer these policy proposals to help meet the goals of our boys and young men of color. We hope that you will join us as we seek to build opportunities for all of Madison’s young people. Under the leadership of Dr. Jackson, with the technical support of Wisconsin’s Equity and Inclusion Laboratory (Wei LAB), the Grand Social Action Committee’s strategic priorities: (a) Boulé Scholars Program, (b) My Brother’s Keeper Partnership, (c) Network of Boulé Scholarship Alumni, (d) Healthy Lifestyle, (e) Lead Tainted Drinking Water, (f) Diversifying the Youth Golf Pipeline, (g) Intergenerational Wealth Creation and Transfer, and (h) Collective Impact Initiative. 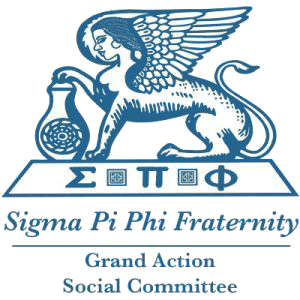 Sigma Pi Phi Fraternity is best known as the Boulé, a Greek term meaning “council of noblemen.” Founded in 1904, Sigma Pi Phi is the oldest Greek-letter organization comprised primarily of African American men. 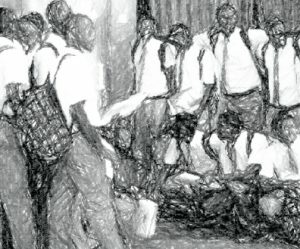 The Boulé has approximately 4,000 members throughout the world. Its membership consists of some of the most accomplished, affluent and influential men—leaders who are making lasting contributions to their communities, our society, and the world.